Product prices and availability are accurate as of 2019-04-18 12:57:35 UTC and are subject to change. Any price and availability information displayed on http://www.amazon.com/ at the time of purchase will apply to the purchase of this product. Author Bookstand is proud to offer PLOTS by Bookstand Publishing. Bookstand Publishing offers books by the best indie authors throughout North America and the world. Bookstand Publishing is dedicated to offering original content to a broad audience and promoting great authors, literacy, and freedom of expression. 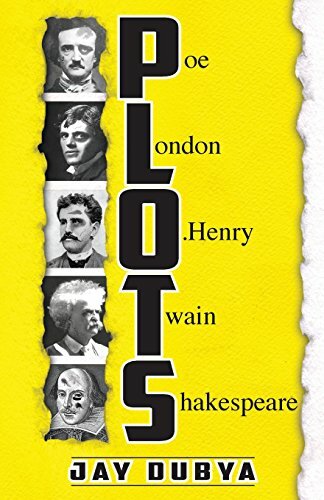 PLOTS has generated a lot of interest and excitement and we think it would be an excellent addition to your library. 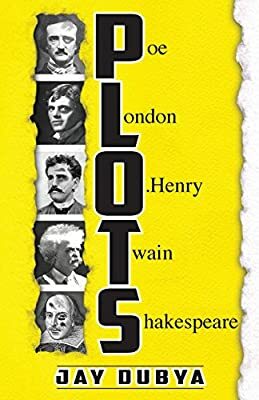 Plots is a Jay Dubya acronym that represents a compilation of certain famous works by authors Edgar Allan Poe, Jack London, O. Henry, Mark Twain and William Shakespeare. Every good story indeed has a plot, or an essential problem (or problems) that must be solved. The problem can either be a direct physical threat or an imagined mental/emotional crisis existing within the main character’s mind, or perhaps the problem is represented by various combinations of those separate elements. In any case, the main problem must be addressed and/or especially solved during the story. 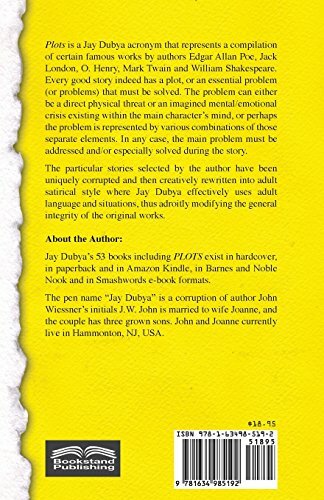 The particular stories selected by the author have been uniquely corrupted and then creatively rewritten into adult satirical style where Jay Dubya effectively uses adult language and situations, thus adroitly modifying the general integrity of the original works.